Did you fall in love with the mustaches I made for the boys Valentine's? Do you have a party coming up and wish that you had time to make these? Well this is the giveaway for you!!! 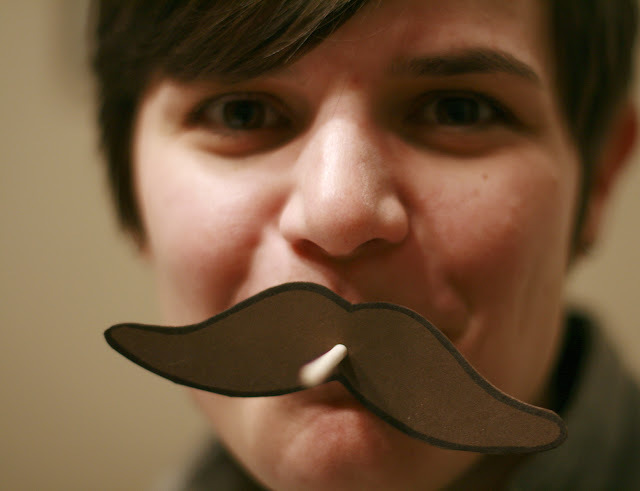 I have 8 new mustaches (without lollipops) for the random winner who leaves a comment off of this blog post. Remember leave your comment here, not on Facebook. Winner will be announced in one week. Ok. I'll bite. I think these would be a ton of fun in the make-believe box!